Minecraft: Story Mode Release Date & Pre-Order | Nerd Much? **Updated 9/16/15 10:28 AM EST**: Telltale Games has confirmed that the release date for the first episode of Minecraft: Story Mode will be titled “The Order of the Stone,” and it will have a digital release date worldwide on Tuesday, October 13. 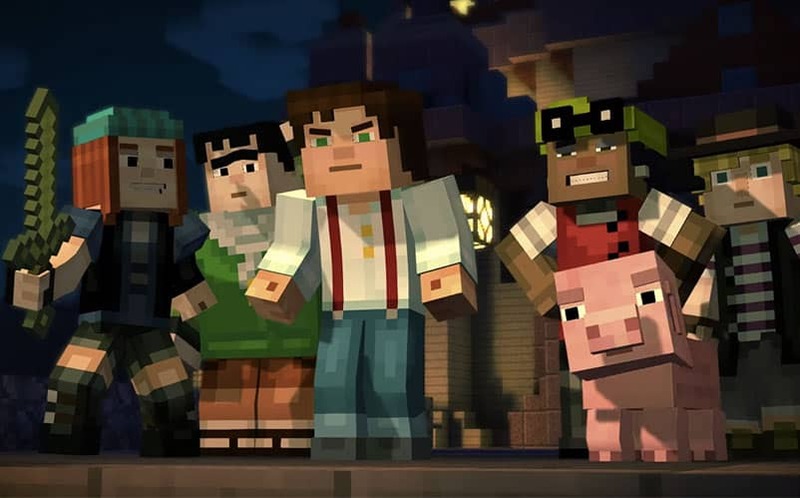 An Amazon listing appears to have confirmed the Minecraft: Story Mode release date, which according to the outlet, will be released on October 27, 2015. “Minecraft- Story Mode is an adventure game set in a Minecraft world. It is a five-part episodic series that will take you to the Nether, the Farlands, the End, and beyond! Get instant access to Episode 1 on the season disc, and get access to four more episodes as they become available to download. Internet connection required,” reads the description. This will mark the first time Minecraft will have any sort of story with actual characters, voiced by real actors. The cast includes some notable names, including Patton Oswalt (Ratatouille), Brian Posehn (The Sarah Silverman Program), Ashley Johnson (The Last of Us), and even Corey Feldman (The Goonies, Stand by Me). Minecraft: Story Mode will be released on PC, Mac, PS4, PS3, Xbox One, Xbox 360, Wii U, iOS and Android. Pre-Order Minecraft: Story Mode here.